Welcome all! I'm here to make pixeldopts. And that's about it. I think. Please remember to ping me, I am not subscribed to this thread. Up to four dragons per slot. Only one dragon per slot is permitted to have new genes/apparel/skins or accents. One slot per person for each opening. Apparel is available for extra. Price depends on apparel. If the apparel is very simple or has already been completed on that base, it will be free. Currently unavailable on Other bases. Skins/Accents vary, will likely be very expensive unless they are incredibly simple. I accept bribe items as full or partial payment. Items taken at LAH price. You can see my wishlist Here. All gender differences are available. Among these: Ridgebacks (Nose), Guardians (Beard), Imperials (Beard), Pearlcatchers (Horns), Tundras (Mane), Skydancers (Antennae), Nocturnes (Chin), and Lions (Mane). Seeing as Bogsneak fins vary from individual to individual, I allow the choice of what fins you want your bob to have! Current main choices are One fin (like on female art) or Two fins (like on male art). Cheek fins are also optional. And if you really want, you can have no fins at all, or just cheek fins! Whatever you want your bob to look like. If you don't tell me what fins you want them to have, I'll go with the standard for their gender art. Small edits such as Primal/Multigaze, beauty marks, etc. For Base Type, use "Dragon" or one of the alternate bases, like "Wolf." Examples and Completed Genes will be in the next post. 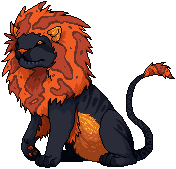 NOTE: Please PM me about custom, non-adoptable pixel art. I deleted my art thread because I'd rather not try and keep up with two threads. 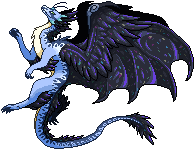 I use MS Paint, with a laptop trackpad instead of a mouse, because it's what I'm used to and have used since I started drawing pixel art. Absolutely! 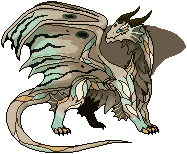 Flip it, add broken wings, recolor it, use it for pixel practice, do whatever you want- all I ask is that you don't turn it into something new just to resell it and make sure to still credit me for the original. What kinds of edits can you make, besides apparel and accents? You have empty slots! That means you're open, right? Please note that by ordering from my shop, you are ordering an image of your dragon drawn by my hand. Because of this, I have the right to use any adopts from this shop as examples, and to show them off anywhere I please, via discord or other websites. However, if you don't want your dragon to be shown off willy-nilly, I will oblige requests to keep them out of my examples and show-offs. I'm not trying to be strict here I just get really proud of these and want to show them to my friends but I also don't want to hurt feelings so I wanna give you guys the option. 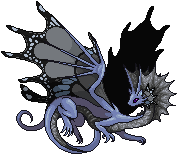 @UserOfShadows Would it be possible to get pinged whenever you finish a base for a new breed? Please send the payment after I finish. Can I be added to a new breed pinglist please?